Available in English for the first time in the U.S., a collection of the speeches of Nobel Prize-winning author Gabriel García Márquez. 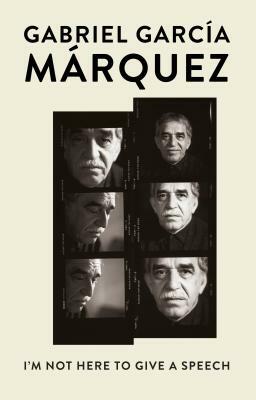 Throughout his life, Gabriel García Márquez spoke publicly with the same passion and energy that marked his writing. Now the wisdom and compassion of these performances are available in English for the first time. I'm Not Here to Give a Speech records key events throughout the author's life, from a farewell to his classmates delivered when he was only seventeen to his Nobel Prize acceptance speech. Written across a lifetime, these speeches chart the growth of a genius: each is a snapshot offering insights into the beliefs and ideas of a world- renowned storyteller. Preserving García Márquez's unmistakeable voice for future generations, I'm Not Here to Give a Speech is a must-have for anyone who ever fell in love with Macondo or cherished a battered copy of Love in the Time of Cholera. Gabriel García Márquez was born in Colombia in 1927. He was awarded the Nobel Prize in Literature in 1982. He is the author of many works of fiction and nonfiction, including One Hundred Years of Solitude and Love in the Time of Cholera. He died in 2014.